Our Alcohol Moderation Program is for functional adults who are concerned about their drinking and want to eliminate its risks and harmful consequences by learning how to drink less or not at all. It is ideal for problem drinkers who are not dependent on alcohol or other drugs, including those in the early stages of acknowledging that their drinking has become problematic. Can the program work together with outside treatment? Yes, absolutely. We strongly encourage clients already involved with outside practitioners to continue their individual therapy, medication, and/or other needed services while participating in the Drink Smartly Program. We welcome opportunities to work collaboratively with medical and mental health professionals in the community whose patients come here for supplemental group treatment and/or other specialized services. For clients not involved in outside treatment, we can provide individual therapy and/or other clinical services, as needed, or refer them appropriately to other caregivers. 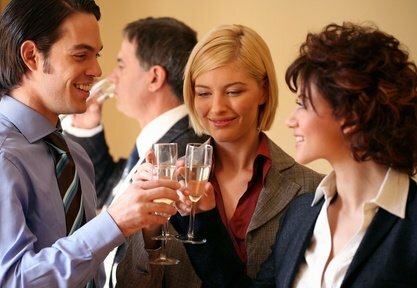 This group provides an empowering, supportive, non-coercive forum in which participants can learn how to accurately assess and monitor their alcohol intake and its consequences, set realistic goals, enhance and maintain their motivation to change, implement self-control strategies, and learn how to drink more moderately or not at all in certain situations. The group also provides an opportunity to identify and address stressful life circumstances and emotional issues that may be driving an individual’s problematic drinking and/or other “self-medication” behaviors. Yes. Research shows that the overwhelming majority of people with alcohol problems are not alcoholics and that a professionally guided attempt at moderation is often the best way for them to find out for themselves whether moderate (less risky) drinking is a realistic and attainable goal or whether stopping completely (abstinence), at least for a while, is actually a better choice. Studies in the U.S. and elsewhere have shown that harm reduction strategies can be very effective in helping non-alcoholic problem drinkers reduce their alcohol consumption to safer levels in order to avoid negative consequences and improve their overall health. Candidates for the Alcohol Moderation Program must be at least 21 years old, with reasonably high levels of psychosocial functioning, not dependent on alcohol or other drugs, and not suffering from serious or de-stabilizing psychiatric illness. All clients must be seen by the group leader (Dr. Washton) for an intake interview to establish initial rapport, determine eligibility, and provide an orientation as to how the group works and how to get the most out of group participation. When appropriate, a brief telephone conversation with the referring clinician is highly desirable, but not required. How much drinking is “too much”? The suggested length of participation in the program is 12 weeks or longer. Groups meet once a week for 90 minutes. Average group size is 6-9 clients. For more information about our Alcohol Moderation Program or referral, please contact Dr. Arnold Washton directly at (609) 497-0433 or contact Dr. Washton through the secure online contact us form. You may also want to read: “Mindful Moderate Drinking—How to Drink Less, Enjoy it More, and Reduce the Risks” written by Dr. Arnold Washton and Dr. Michael Ascher as it appeared in The Huffington Post.